This is a pivotal time for the future of the UK and its low carbon industries. The recent Clean growth strategy has seen a change in narrative from the government on emissions reduction, identifying opportunities that come with ambition. In addition, the UK will soon be negotiating its new relationship with the EU, as well as creating trade deals with countries around the world. As these processes define what global Britain stands for, will it identify the green trading opportunities for the UK and chart a policy direction to win them? 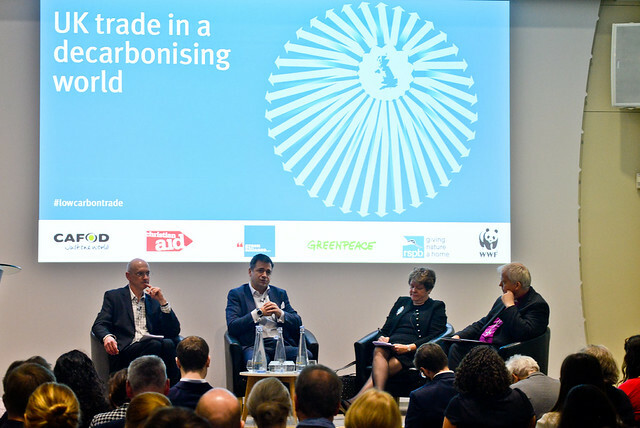 As countries all over the world commit to decarbonise their economies, this event addressed how the UK can strengthen its standing as a climate leader and take advantage of global low carbon opportunities. BEIS Minister Claire Perry MP delivered the keynote speech, followed by a panel of experts who discussed expectations of the government’s plans and its moral responsibility around climate change. You can read our report, UK trade in a decarbonsing world, to find out more about the subject. See the photos of the event and the event summary on Wakelet.